Mountain View Chiropractic in Scottsdale, AZ, features Dr. Renée Haberl, who is a Doctor of Chiropractic; and a passionate provider of wellness services focused on you and your specific needs. Whether you are recovering from an injury, suffering from chronic pain, a strain, or you simply appreciate the benefits of preventive chiropractic care; we offer solutions to help make, and keep you well. At Mountain View Chiropractic, we believe that you can make big changes in your health by focusing on the small steps. Our work in health and the community is inspired by the Butterfly Effect, a meteorological phenomenon discovered and coined by Edward Lorenz. If a butterfly is flapping its wings in Australia, and has the potential to create a hurricane in the Gulf of Mexico; we believe that even one adjustment, can help lead to better health and wellness. When our patients feel better, eat better and heal better; they in turn can have further positive effects in our community at large. A Scottsdale Chiropractic winner of the 2015 Patients’ Choice Awards.  Voted Chiropractor of the Year by the Arizona Association of Chiropractic in 2012, 2013, and 2014 Dr. Renée boasts an impressive résumé of accomplishments all directly tied to her passion – Chiropractic Care. We blend holistic and scientific methods with our years of experience to create a plan especially for you. Learn more about how we can help you recover from an injury, treat your chronic pain or maintain your health through a customized chiropractic care plan.